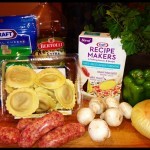 Tailgating 101 – Are your ready for some Football??????? Are you ready for some football? It’s time to tailgate! When the leaves change color, and the weather is crisp and cool, it’s time for football! Here at the Thompson house, we are all avid football fans! Whether we’re tailgating at the stadium or gathering in front of the TV for a Sunday NFL game, we enjoy making every game a celebration for family and friends. We started tailgating when our boys played Pop Warner football (quite a few years back) so we have lots of experience with easy quick recipes, and time saving hacks to make game day quick and convenient for everyone including ME – the “chief cook and bottle washer”. I am a woman who loves her football and I don’t want to miss a single “down”, never mind a touchdown! This past Sunday was the first Sunday of the NFL season so it was time for me to get my “tailgating skills” ready for the season. The whole key to tailgating or just entertaining for the game here at home is preparation. I begin on Thursday with making a menu in preparation for going shopping on Friday. 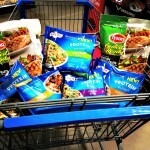 Early Friday morning finds me headed out to Walmart to fill my grocery and goodies list. 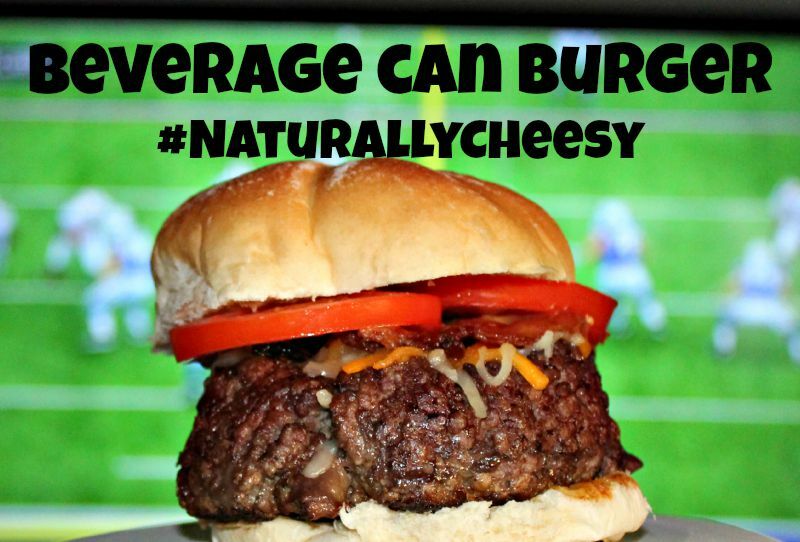 We’re talking #NaturallyCheesy! 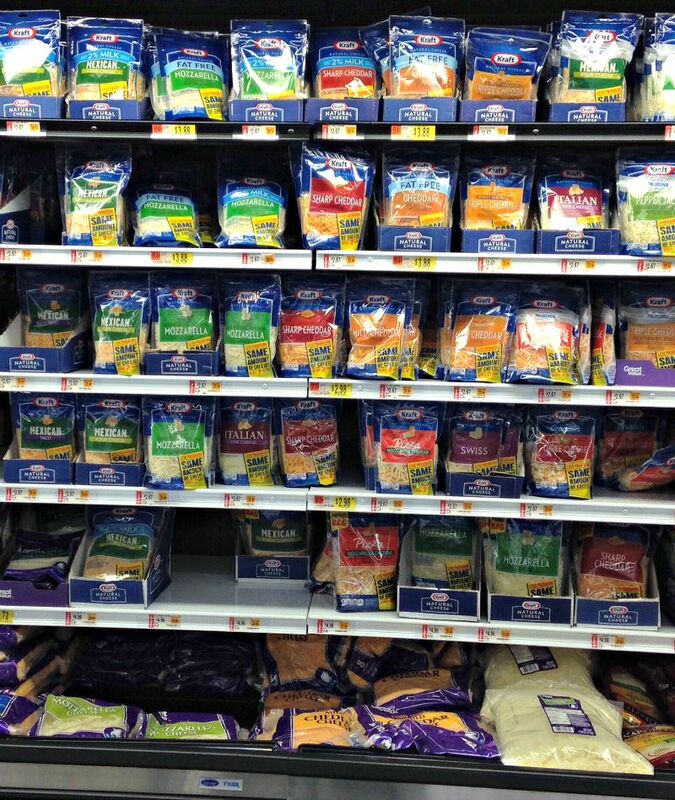 It was almost overwhelming for a “cheese-head” like me. I love cheese and my cheese of preference is Kraft. I needed Kraft Natural Shreds for two recipes I had planned for Sunday so I grabbed a package each of Kraft Natural Mozzarella Shreds and Kraft Three Cheese Shreds. And I added a package of Three Cheese Crumbles as they’re perfect for nachos which are always a game day favorite and some Kraft Natural Medium Cheddar Block Cheese for a cheese and cracker tray. I swung by the party section and this year Walmart has some great football theme items like a disposable table cloth that looks like a football field. 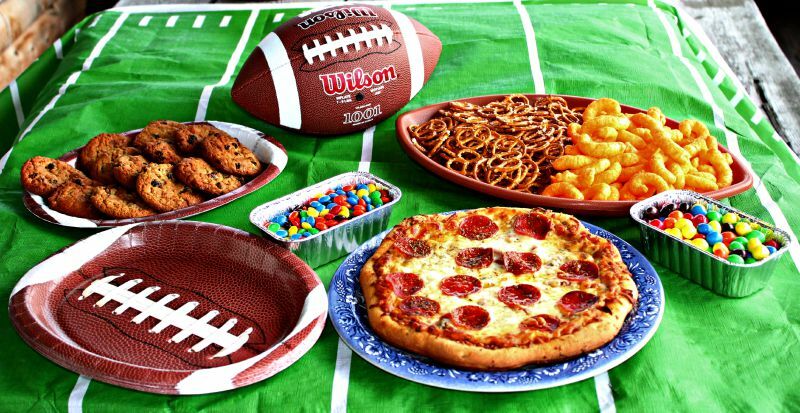 I grabbed some football themed paper plates and napkins along with a great football shaped tray. On Saturdays during “the season” I do any food prep work and we start to pack the truck if we are going to the stadium on Sunday. We get our folding chairs and tables, barbecue grills, and other equipment packed up first. 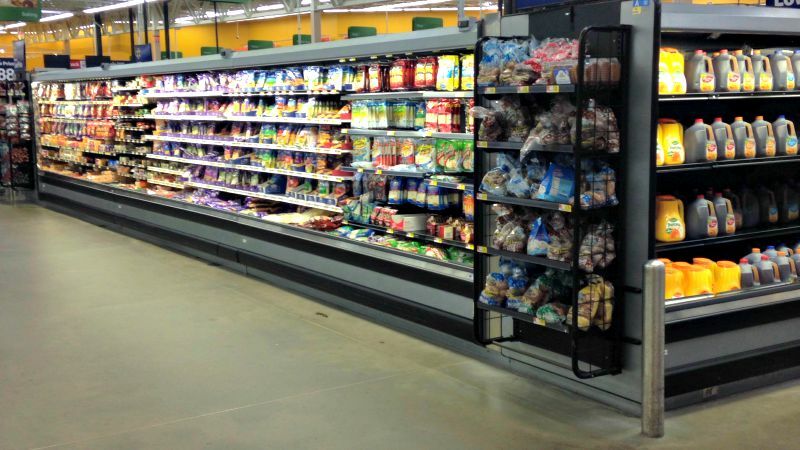 Then Sunday morning we just have to add the coolers with food and beverages to the mix and we’re ready to go. This week we’ll be tailgating at home for the Sunday season opener so it’s a great chance to try a grilling favorite – “Grilled Pizza”. Sort of a dress rehearsal for the Sundays when we head out to tailgate for real at the stadium. 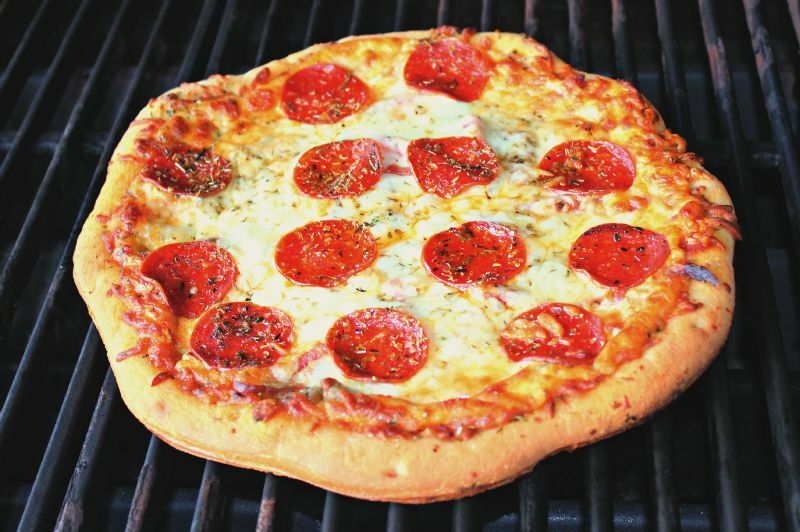 Grilled Pizza – Quick and Easy Crowd Pleaser! 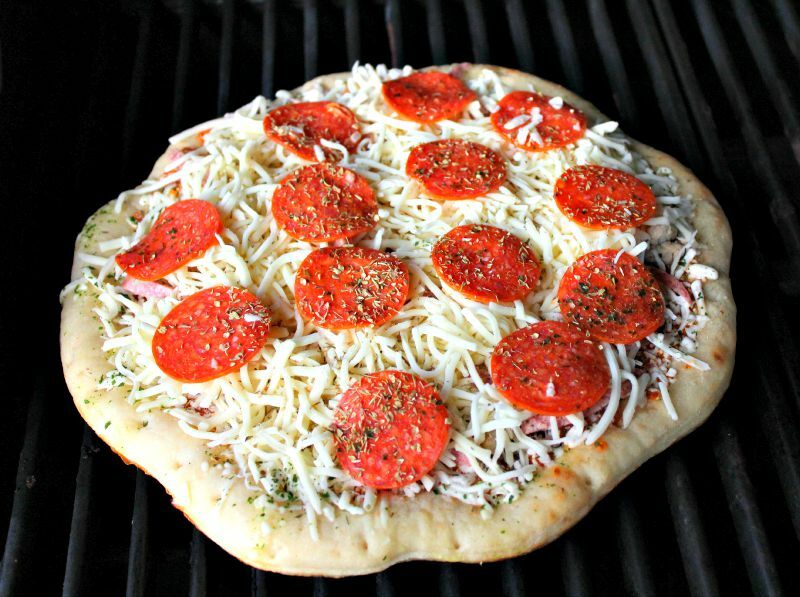 Grilling a pizza is fun and easy. To make it quick and easy on game day, I buy a “store” cheese pizza and enhance it by adding extra cheese ( Kraft Natural Shreds Mozzarella) because frozen and store pizza never have enough cheese and I add some pepperoni slices. 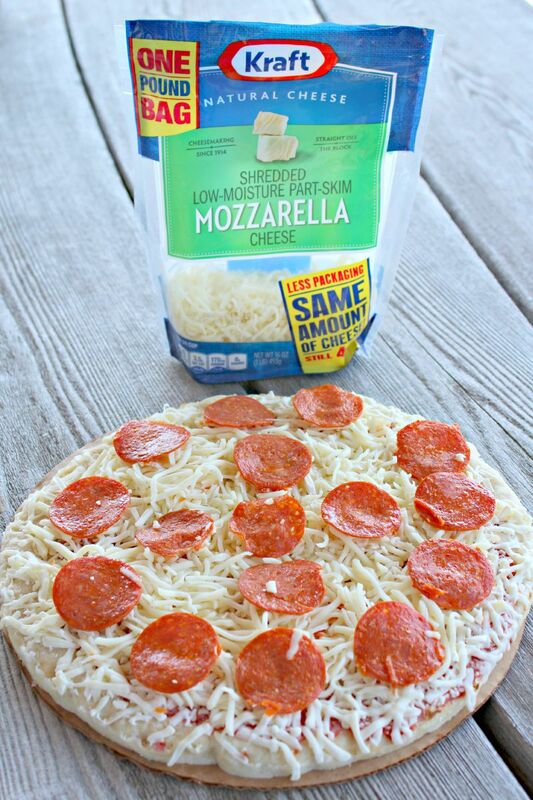 You can add whatever toppings you want but spread them out evenly so they cook evenly. Make sure you preheat your grill. Then carefully place it on the grill offsetting the pizza from the heat source. In a charcoal grill just move the hot coals to one side and place the pizza on the opposite side so it receives indirect heat. If using a multi-burner gas grill, just shut off all the burners except one, and position the pizza opposite the lit burner so it receives indirect heat. If your grill has a thermostat, you want to make sure it is maintaining a 400-450 degree heat. Close the grill covers down and let cook for 20 minutes. Check to see if done, and if it needs more time let it cook a little longer. Keep an eye on it so it doesn’t burn. When done, it will be gorgeously golden brown around the crust and it will have a delicious, smoky flavor. You might be wondering how to get a smoky flavor in your gas grill, right? We have a couple of apple trees here on the property. When we prune them in the spring/late winter I take the branches and save them to chip up. I soak the apple wood chips in water and then place them in a foil pan set right on the grill burners. These smoke and give a lovely flavor to whatever we’re cooking in the grill. Once I get the pizza grilled, my work is done. 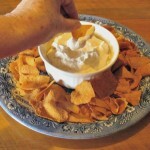 I make the menu completely self service with a variety of chips, dip, cookies, cake, and nacho fixings that I can prepare the day before and just set out on game day. The gang is free to nosh their way through the spread. I can munch on my pizza and watch the game. Yeah ….I’m ready for some football!!!!!!!!!!!! After in addition to main dish entrees, I fill in the table with candy, cookies, chips and dip, and the plate of self serve cheese and crackers. Kraft Natural Chunk Cheese blocks are great for this. I usually pick one like this Kraft Natural Medium Cheddar that has a universal appeal and set it up with some precut pieces and leave the chunk for those who want to cut their own. Now I’m ready for some football! How about you? 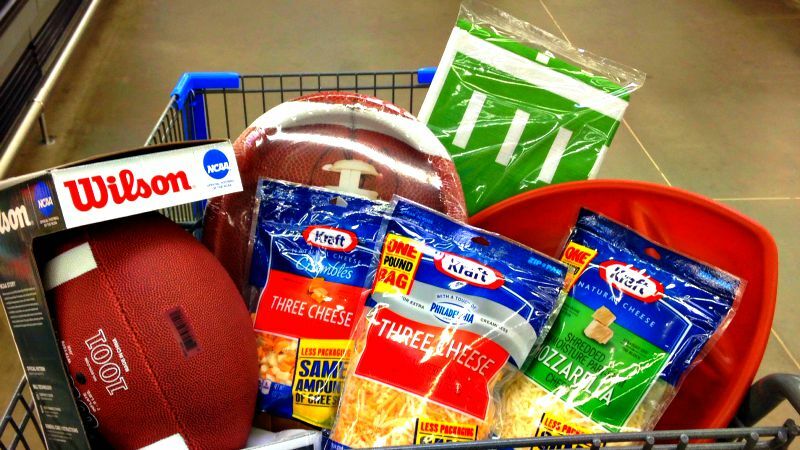 For more great tailgating ideas, be sure to attend a game time demo at your local Walmart on September 26th.What’s your favorite Kraft Natural Cheese? 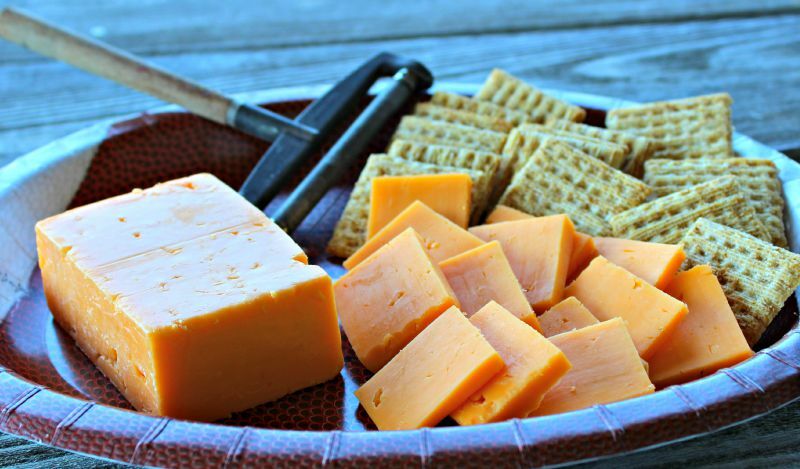 Be sure to check out more Kraft Natural Cheese recipes for your next tailgating or home entertaining occasion.